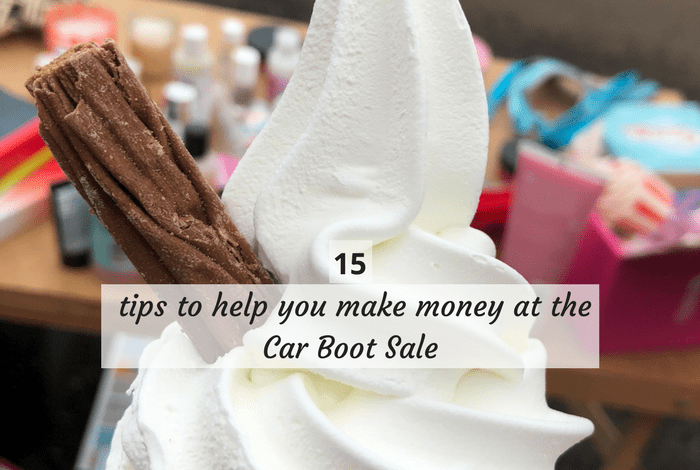 Make some extra money – 15 top car boot sale tips…. 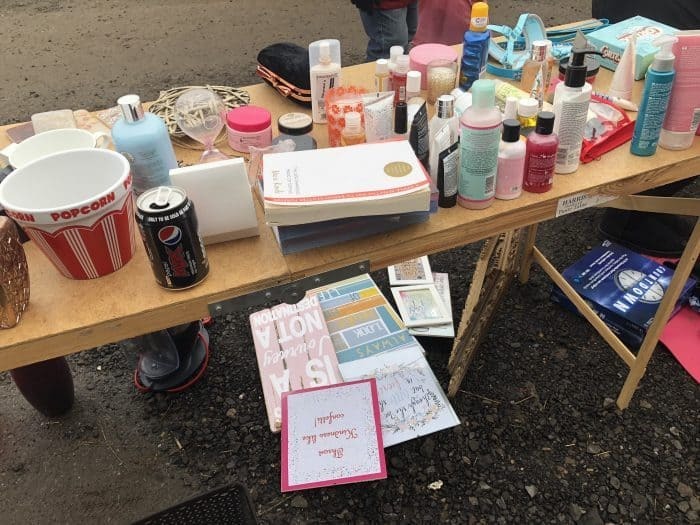 A great way to earn to earn some extra money at this time of year is to have a de-clutter and go along to your local car boot sale to sell it all! 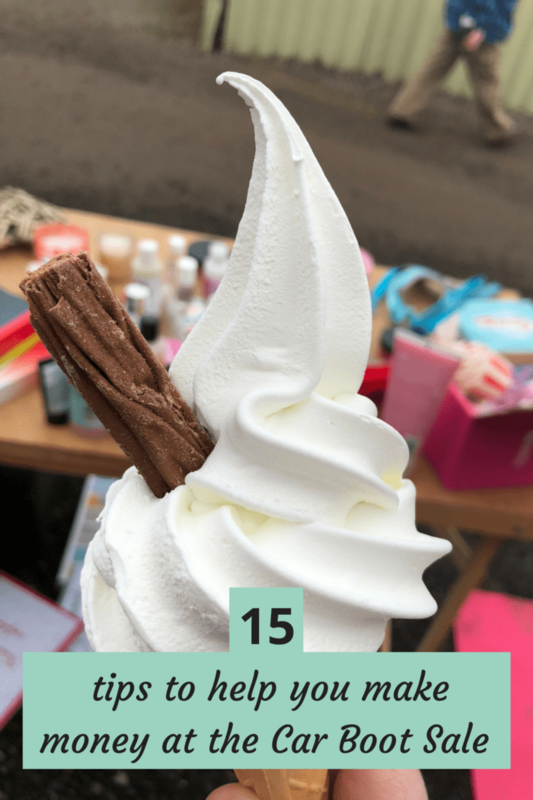 We do this twice a year usually – once at the beginning of the good weather and once at the end of the Summer and seeing as we’ve just had our first car boot sale of the year, I thought I’d share a few of our car boot sale tips with you today. The boot sale we had this weekend was a huge success and we made over £160 which was brilliant as we were hoping to make enough to cover the costs of some parts that we needed to buy for our plumber who’s coming this week to sort out a few different things that need doing. Even though I’ve been vaguely planning to have a boot sale for a while now, the decision to have one at the weekend wasn’t actually made until Saturday afternoon when I was sorting the garage out for a tip run. I’ve de-cluttered quite a bit in the house over the last few weeks and even after a couple of trips to the tip and a few trips to the local charity shop, there was still plenty in the garage that was taking up space waiting until we actually got around to doing a boot sale. I sat in the middle of my garage floor and checked the weather on my phone and it looked like Sunday was going to be a nice day so I decided there and then that I was going to do one. As a rule, I have a big car boot sale box in the garage that I store junk things that we plan to sell at the next car boot sale we do and I also have a box on top of the wardrobe that I add any clothes that are too small or no longer meet the teenage criteria of being cool! To add to that, we usually use the upcoming boot sale to have a bit of a clear out and work our way through most of the rooms in the house (and the garage and garden) decluttering and adding to our boot sale pile – this time I was just in the mood to de-clutter after my dad died and I think that might have contributed to me being a bit more brutal than I usually am with the things I got rid of (hence the numerous charity shop and tip runs in the last couple of weeks). I definitely recommend having at least one box/bag somewhere that you can pop things in as and when you decide to get rid of it so you already have some things sorted out when you decide to do a boot sale. Take a few carrier bags with you as people will always ask although this weekend I was pleased to see more people than I’ve ever noticed before bringing their own bags. I had a few people ask though so I found it handy to have a few. 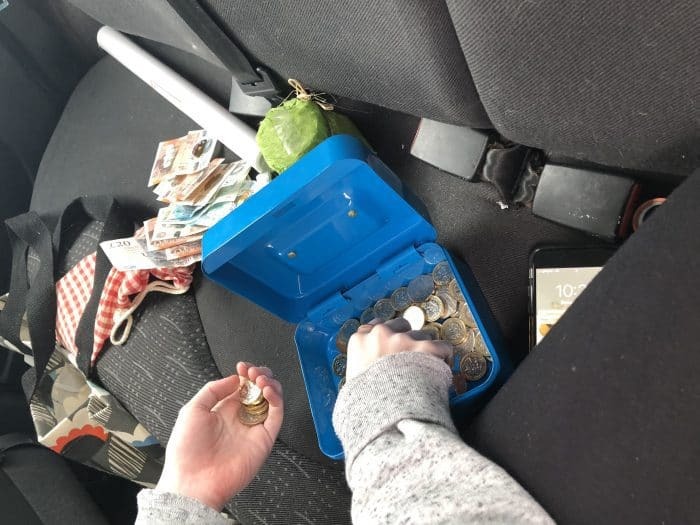 Take a box with a lid on to store all your lovely money in and if I were you, I would try and make sure you have a little bit of change with you as well as you wouldn’t want to lose a sale because you didn’t have change. We take an old paste table and two scruffy blankets to go down on the floor either side of the table so we have plenty of space to show our things off – we only take a clothes rail if we have a lot of clothes to sell because I’ve seen so many blow over or collapse in the past that I’m really reluctant to take the one we have somewhere in our garage unless it’s really needed! When the boot sale man is directing us to our spot we try and park as far back from the car in front of us so we have as much space as possible to spread out over. When you’re given your spot, don’t be afraid to ask the man directing you to your spot for a good one. Normally they’ll just line the cars up in the order they come in but we cheekily asked the man this weekend for a good spot and he definitely came up trumps. 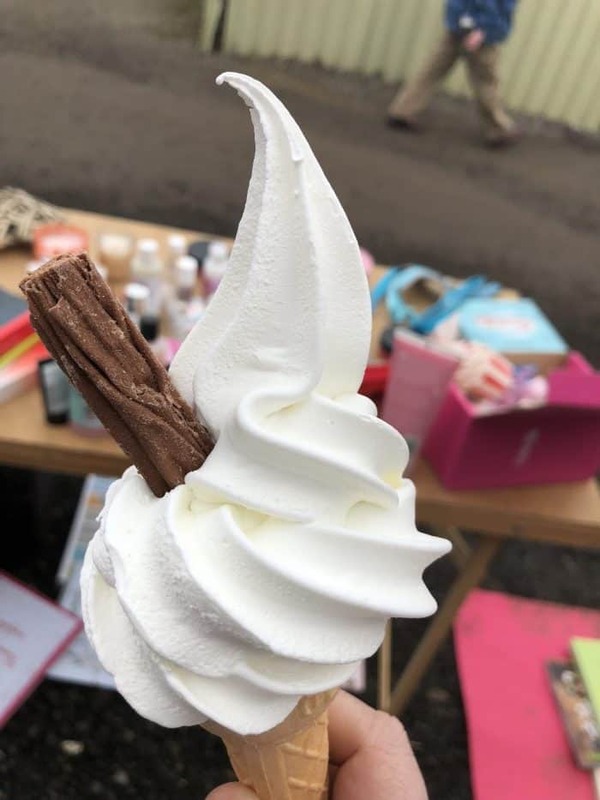 Instead of lining us up with the other stalls, he said we could park next to the cafe van if we wanted which is in a prime position as it’s directly facing the entrance to the boot sale and is the first stall people stop at on the way in and the last one they pass on the way out. I definitely think that was the key to the success of this weekend’s boot sale as we didn’t have anything big to sell really, it was more that we sold almost everything we had with us. 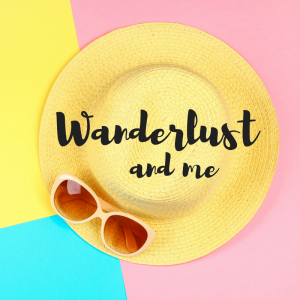 When you get there, don’t start unpacking your car straight away as the professional sellers can be so rude – one man actually started nosing through our boot before we’d even started unpacking which really annoyed me! They know what they’re looking for and think they can get it cheap before the boot sale even starts. If you’re not careful you’ll see what you sold to them for a fiver up for sale on their stall five minutes later for double the amount. 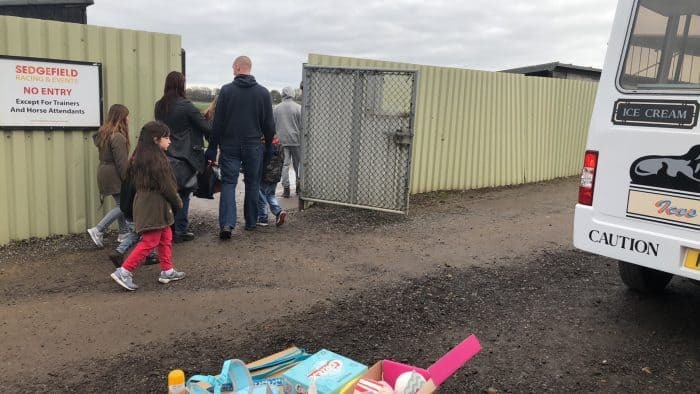 We go for a cuppa or a little wander around for half an hour before we start unpacking the car – there’s plenty of time as sellers are usually supposed to be there so far in advance of the buyers opening time. I normally let the kids spread their things out on one of the blankets on the floor to the side of the paste table and they’re in charge of that bit. The blanket on the other side of the paste table (if there’s room) is usually shoes and bags and other things that are too big for the table. Any books go in a box just under the table and the clothes obviously go on the clothes rail. 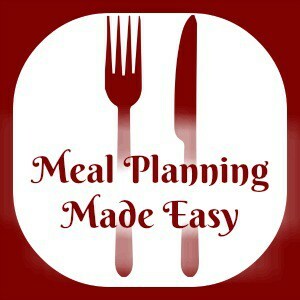 Everything else goes on the table for us. I generally take along some sellotape, some paper, and a thick marker pen with us and I put a sign on the book box saying how much they are and I price any larger or more expensive items. The more you can price up before you start, the easier it is for you as you’ll soon forget how much you’ve quoted. It also makes it easier if there’s more than one of you on the stall. A box of things like costume jewellery, daft bits of makeup, hair stuff and any other little bits and bobs always attracts people to your table – I put a box in the middle of the table usually with a sign on saying everything in the box 50p and it’s usually the most popular thing on the table. Kids toys sell very well so don’t underprice them. We sold a lot of Master Frugal’s WWE things this weekend as he’d long since grown out of it all and we made a fortune, likewise with their Moshi Monster figures and his Disney Pixar cars. At the same time, I know this isn’t money saving, but when I can see that children are paying for something themselves or I can see that they really want something then I will give a lower price and every now and again, I’ll just give something away. Be prepared to haggle – start your pricing slightly higher than you would be willing to sell for as people love to think they’ve bartered you down and got a bargain. Take drinks and snacks so you don’t end up spending all your money when you get hungry or when you fancy an ice cream. Try and leave the kids at home because (a) they’ll get bored and (b) they’ll spend your takings. Don’t be tempted to spend your takings at the stall opposite you, even if they are selling the cutest handbag ever. Don’t do it on your own, some people are after more of a bargain than others and you need eyes in the back of your head. Remember this? And finally, one of my biggest boot sale tips is to say that anything you have left, donate to charity. You didn’t need it before so you don’t need it now so stop off at your favourite charity shop on the way home and donate whatever you can. I hope you find my boot sale tips useful! The Big Chop – Before and After….